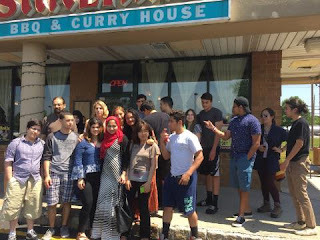 (North Brunswick, NJ—May 29, 2015) The Middle Eastern Cultural Club of High Tech hosted a wonderful luncheon at Shalimar BBQ Restaurant to enhance Middle Eastern cultural awareness and understanding across High Tech, announced Dr. Joseph Giammarella, Principal of High Tech. 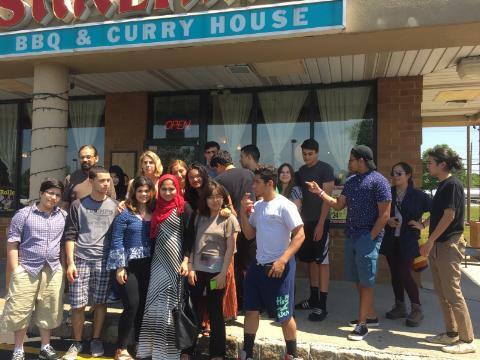 Students from very different backgrounds made this a tremendous event. 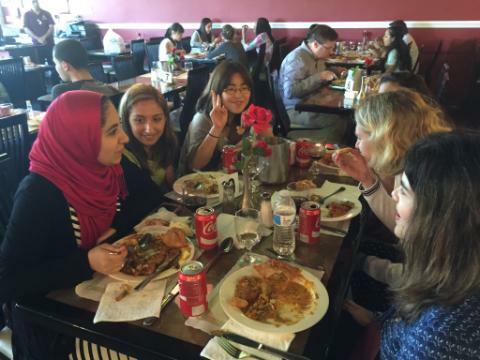 “This luncheon helped students to explore, understand, and enjoy the beauty of diverse cultures, as well as to educate students to welcome people from different backgrounds,” says club moderator Dr. Syed Abbasi. The Middle Eastern Cultural Club promotes and embraces all cultures in order to educate students about diversity and mutual respect for one another, using the means of music, food, literature, and social interaction among each other to accomplish these goals.